New Music: Kodak Black says he’s done "poppin’ pills" on "Here It Is"
Kodak Black is already off to a busy start this year, even weaving a hopeful promise to lay off pills into his newest song, "Here It Is." Artists such as Smokepurpp and Lil Pump recently shared with fans that they are working to leave recreationally taking pills, such as Xanax and Percocet, in the past, a movement that the Project Baby rapper is also interested in joining, judging from one of the bars found in his latest offering. "If I ain't like you then, I don't like you still," Kodak spits on the track. "I'm smoking weed now, I stopped poppin' pills." Although the reference to abstaining from hard drugs is a brief one, hopefully, the gesture will speak volumes and the Florida MC can help inspire his fans to shy away from using the pills as well. 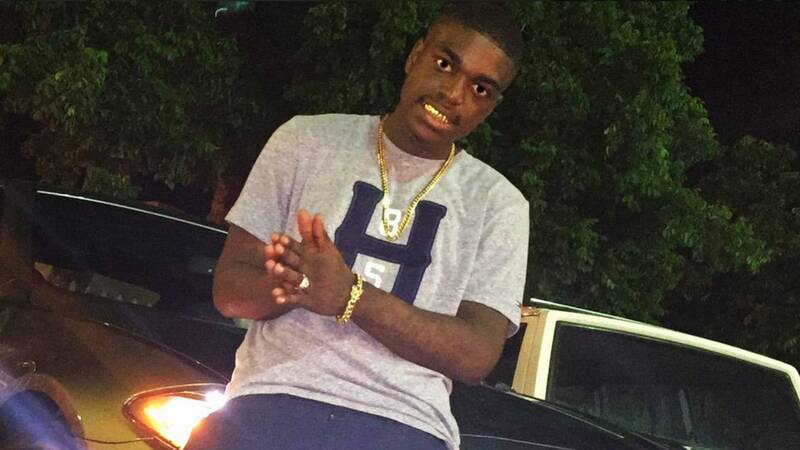 The track, which arrives following the December 2017 release of Kodak's collaborative mixtape Baptized N Blood with his Sniper Gang crew, also focuses on his friendships and his blessings, with many interpreting some lines to be a shot at Koly P.
In response to interpreting some of the jabs on the song to be a diss at him, fellow Florida rapper Koly P dropped a rebuttal, "Here It Really Is," alongside an Instagram post that explained his reasoning for responding with what he calls a "fact track." Take a listen to Kodak Black's "Here It Is" and Koly P's response below.